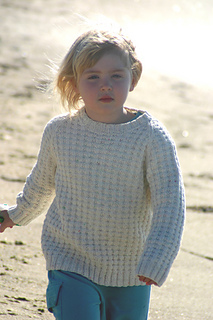 The sun, the sand, the sea, the salt-water taffy, and the perfect sweater for day’s end. Oversized fit (for comfort and growing room) with a handsome, allover, checked texture. A classic raglan crew, a great pack-along for summer, will be equally comfortable in the classroom and on the playground come fall.